Sol 2350, March 17, 2019. It was St. Patrick’s Day on Earth, but Curiosity was squaring up to a rock named for a Scottish Highlands village. 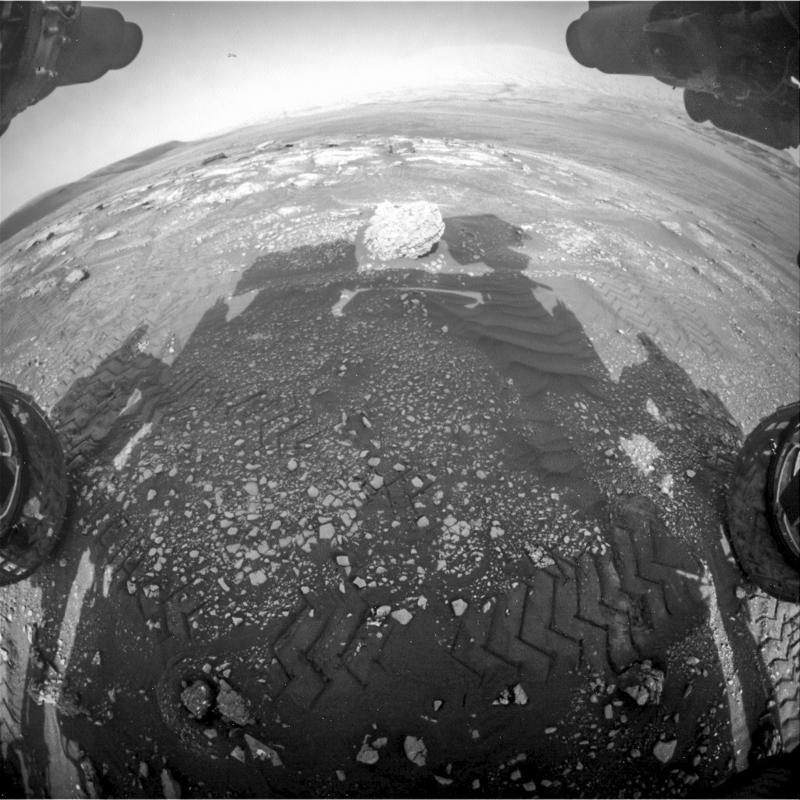 As the science team planned, Curiosity was moved a few meters to get a better look at the rock dubbed Muir of Ord. At right are (top) the front Hazcam’s view of Muir of Ord at 3:20 p.m. local time, with the rock in late afternoon sunlight. 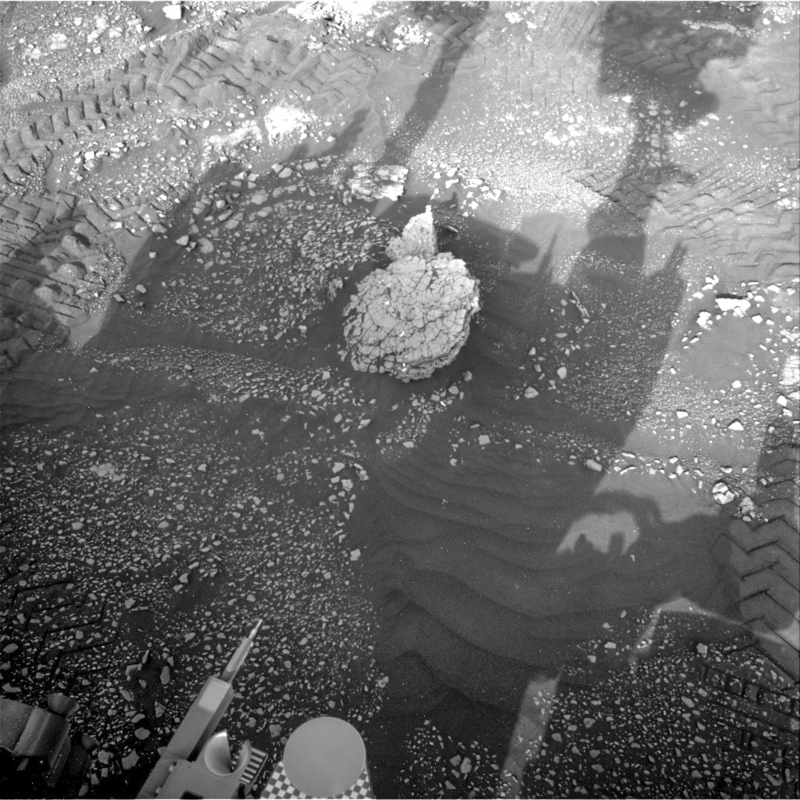 Below is the view by the Navcam an hour later, when the rover’s shadow has crept out to cover the rock. Click either image to enlarge it. Sol 2350 raw images (from all cameras). This entry was posted in Reports and tagged Aeolis Mons, CBU, clay-bearing unit, Curiosity, Gale Crater, Glen Torridon, Mars Science Laboratory, Mount Sharp, MSL, Muir of Ord, Murray Formation, NASA. Bookmark the permalink.